Bill Bulpitt, BME '70, MSME '72, is a true gearhead. Having restored a Ford Model A when he was 12 years-old, rebuilt a flathead Ford V-8 at 16-years-old, serving as the captain of the ME team in the 1970 Clean Air Car Race, and writing his master's thesis on the Wankel engine, setting up a dynamometer lab in the process, his early years in mechanical engineering proved as merely a foundation for a lifetime of auto love. 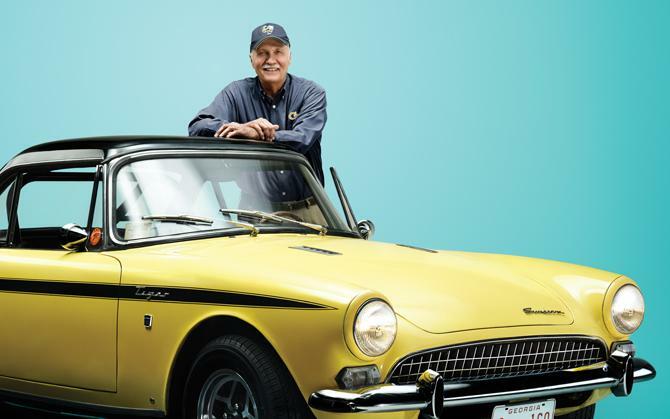 He has since rebuilt and restored a 1966 Sunbeam Tiger (featured in Motor Trend, no less), supervised restoration of a replica Ramblin' Wreck for the Georgia Tech Hotel, and participated in just about every Georgia Tech Auto Show. Recently, Bulpitt purchased yet another Sunbeam Tiger that had been off the road for 20 years. Read the Georgia Tech Alumni Magazine article, Tech Hack, to learn how he made this old Tiger purr like a kitten.